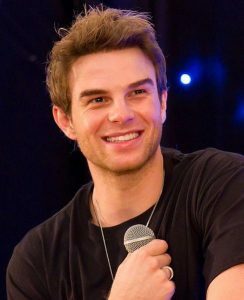 Photo: Nate Buzolic, an Australian actor of Croatian descent. Photo by Anastasiarasputin accessed on Wikimedia Commons. Croats or Croatians are the predominant ethnic group of Croatia. Croats mainly live in Croatia and Bosnia and Herzegovina but are a minority population in Austria, Czech Republic, Hungary, Italy, Montenegro, Romania, Serbia, and Slovakia. Social, political and economic pressures in Croatia have resulted in migration to Europe (especially Germany, Austria, Switzerland, France, and Italy) and the Americas (especially the United States, Canada, Argentina, and Chile). 1) The Croatian (Southern) population represents 105 unrelated individuals living in Split, Croatia. Samples collected by the Split Hospital, Department of Forensic Genetics. 2) The Croatian population represents 200 unrelated adult male individuals living in diverse Croatian regions in the period from 2005 to 2007. Samples collected by the DNA Laboratory of the Department of Forensic Medicine, Faculty of Medicine of the University of Zagreb. Source publication: Allele Frequencies for the 13 CODIS STR Loci in a sample of Southern Croatians, Journal of Forensic Science, 2002, p.669-670. Evaluation of population variation at 17 autosomal STR and 16 Y-STR haplotype loci in Croatians, FSI, 2009, p137-138.